Google introduced the project called “Android One” back in 2014. 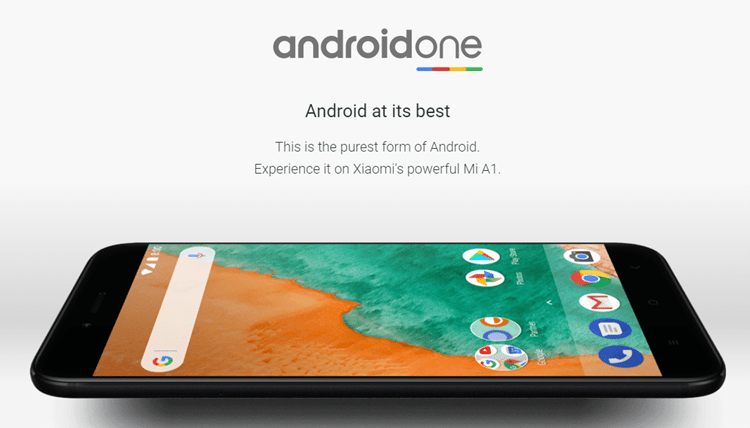 Three years later, the search giant joins forces with Xiaomi to deliver a new Android One midrange smartphone; the Xiaomi Mi A1. 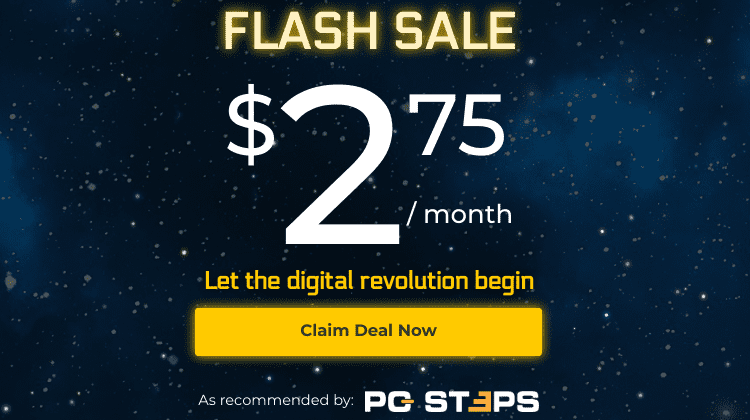 Thanks to Gearbest, we got our hands on one of these devices, we took it through all the best smartphone benchmarks, and below you’ll find a detailed review of the product. Did you like the Xiaomi Mi A1? For those not familiar with the Android One project, Google started it back in 2014 as a low-cost line of consumer electronic devices that run stock Android. Google intended to create this line of products for customers in the developing countries. However, some of the models became available in the developed world as well. Android One devices are phones managed by Google. 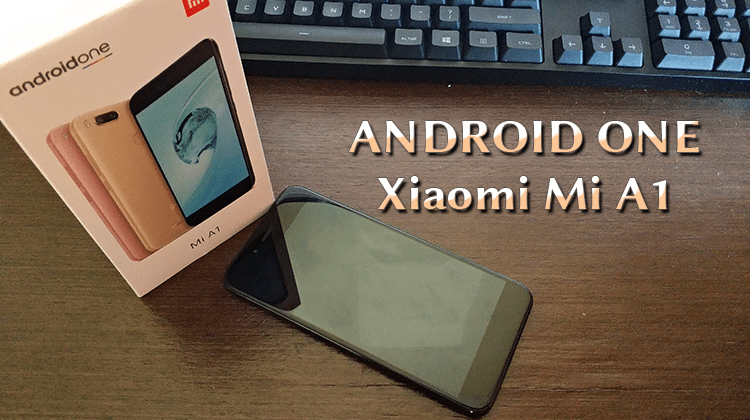 The company undertakes the design, development, marketing, and support, while the manufacturing process is carried out by a collaborating company; in the case of Mi A1, Xiaomi. What’s most important about Android One smartphones, is that they run a pure version of Android, without any third-party customization. As Google puts it, Android one is “Android at its best.” And we don't need to shell out hundreds of dollars for a Pixel or Pixel 2. That means we get the best version of Android out of the box, with no unnecessary apps. Moreover, the phone will receive the latest Android version as soon as they hit the market, for at least the next two years. 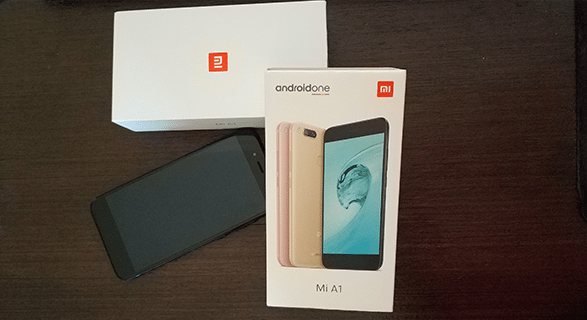 Xiaomi Mi A1 is one of the latest additions to the Android One line. The phone has a dual rear camera setup with a 2x optical zoom at 12MP for both of them, which allows it to take excellent photos. As for the front camera, it has a 5MP sensor capable of 1080p. It comes in three color variations: golden, rose gold, and the classic black. It also has a full metal body, something that makes it fingerprint resistant. The display is a FullHD LTPS IPS LCD at 5.5 inches, with 2.5D curved glass and Corning Gorilla Glass 3. Xiaomi Mi A1 comes with Android 7.1.2 Nougat, but Google already plans to upgrade it to Android 8.0 Oreo. Plus, it will be one of the first devices to run Android P, when it launches next year. 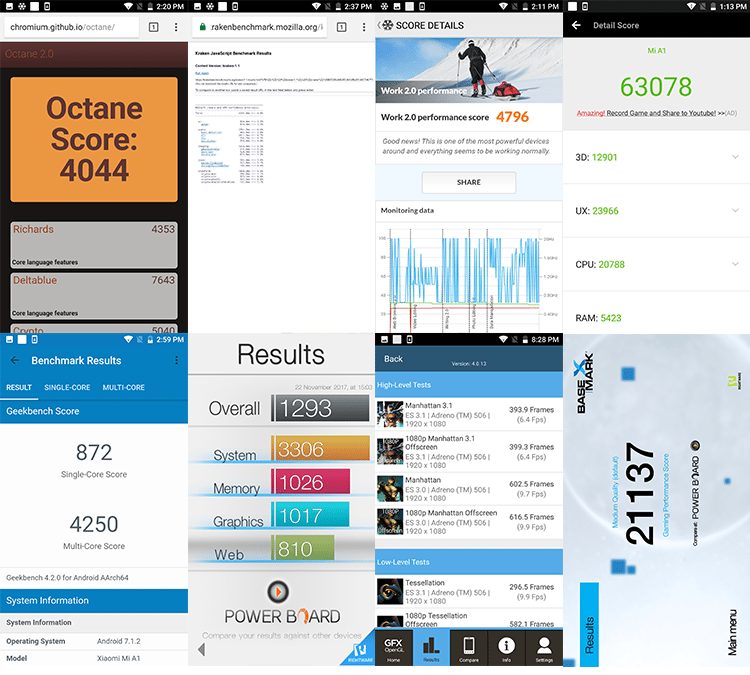 The smartphone is powered by the octa-core Snapdragon 625, along with Adreno 506 for graphics. That keeps the phone in the middle-range category, but it doesn’t stop it from fulfilling our everyday needs. With 4GB of RAM and 64GB of storage space, it can do anything we want. You can check out GSMarena for a full specification list. 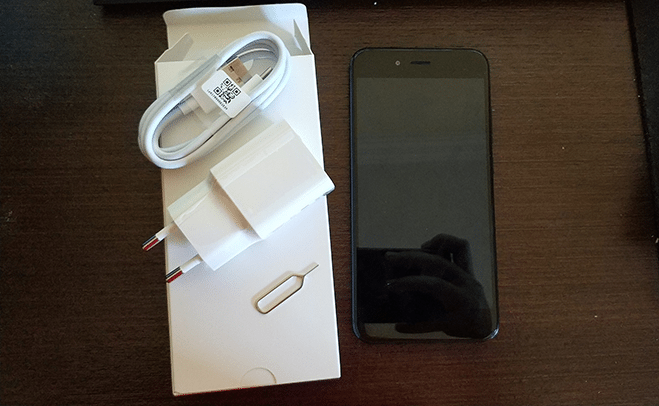 The device came in a double-layer box, where the outer part had the Android One logo. The inner box was simple with a small Mi logo at the top. Inside that box, we found a smaller one with all the necessary accessories. 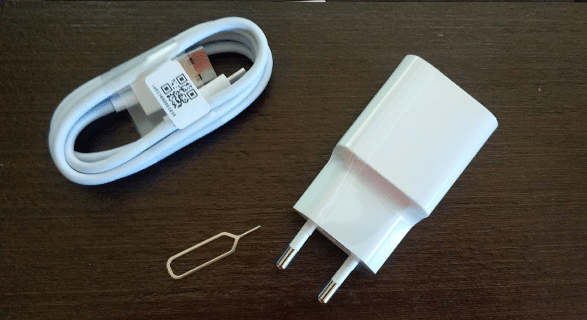 All in all, the small package contained the charger, a USB-C cable, and the SIM needle. Of course, we also found the manual, which was in English this time - not in Chinese as were the manuals on other devices we have reviewed. 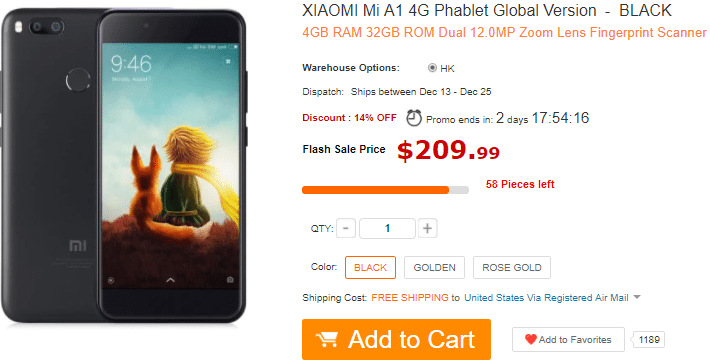 As for the price, the black and golden versions of Xiaomi Mi A1 cost around $210 at the time of this writing from Gearbest. Some of you may have noticed that the phone is very similar to Xiaomi Mi 5X. Well, that’s because it is practically the same smartphone. The hardware part, as well as the design, are the same. 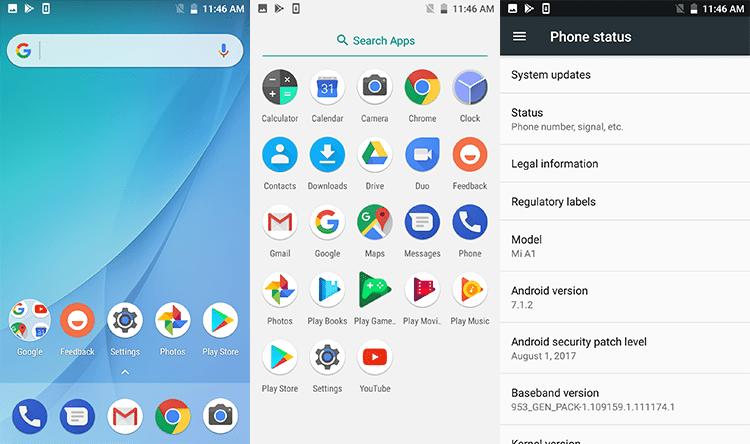 The only difference is that Xiaomi Mi A1 runs stock Android, while Xiaomi Mi 5X runs Android 7.1.2, but with MIUI 8 on top of it. 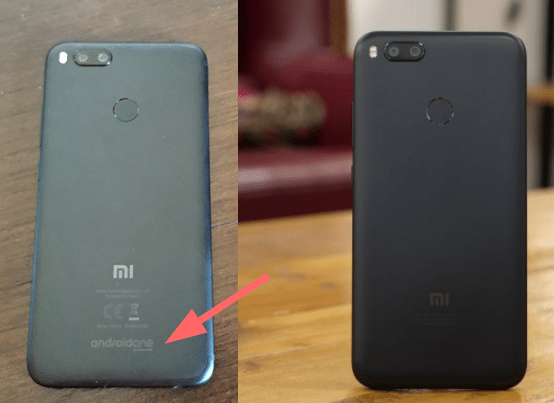 Other than that, the only way to recognize the devices physically is the Android One logo at the back of Xiaomi Mi A1. The Mi 5X comes at about the same cost as Xiaomi Mi A1, and you can find it here at approximately $220. 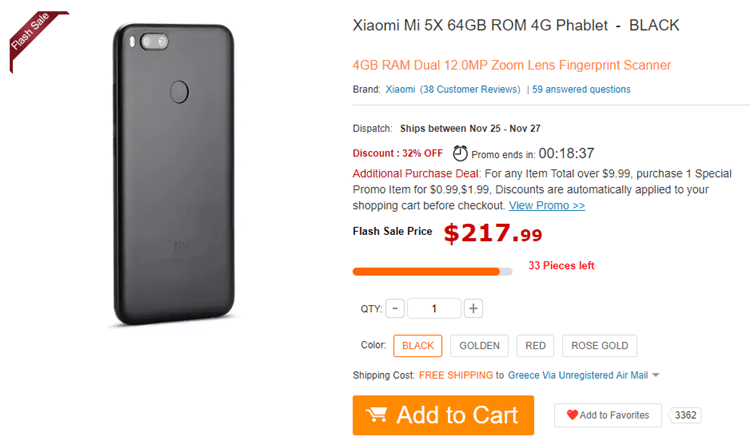 The rose gold version is available at 230 dollars, while there’s also the option to pre-order a red Xiaomi Mi 5X, but it doesn’t seem that much of a VFM. Holding Xiaomi Mi A1 was a bit weird since we weren’t used to operating a Xiaomi smartphone without the company’s MIUI skin. However, we got used to the stock Android after a while. We used the device for about a week, and our impressions were excellent. First of all, the design is pretty neat and clean, with rounded corners and a minimal look. Furthermore, we noticed that it’s a thin and lightweight device, which made it extremely easy to hold and operate. The metallic body gives a nice, solid feeling to the touch, while the 2.5D glass in the front adds a sense of elegance to the whole look. The LTPS IPS display makes the colors bright and accurate, and we didn’t face any problems with the brightness outdoors. Xiaomi Mi A1 runs Android 7.1.2 Nougat, as we mentioned, with no third-party apps and customizations. 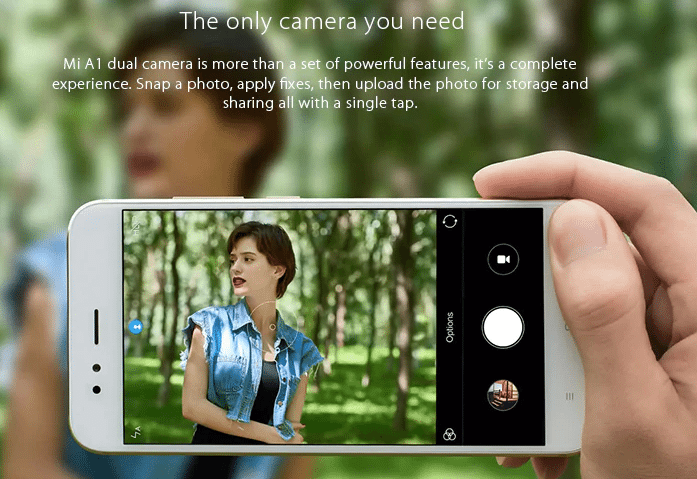 The only apps Xiaomi put on the phone are the Feedback app and the Camera. In fact, Android’s stock app doesn’t support dual cameras yet, so Xiaomi had to install its own software. In general, the phone responded immediately to the touch, and we didn’t experience any lags whatsoever. 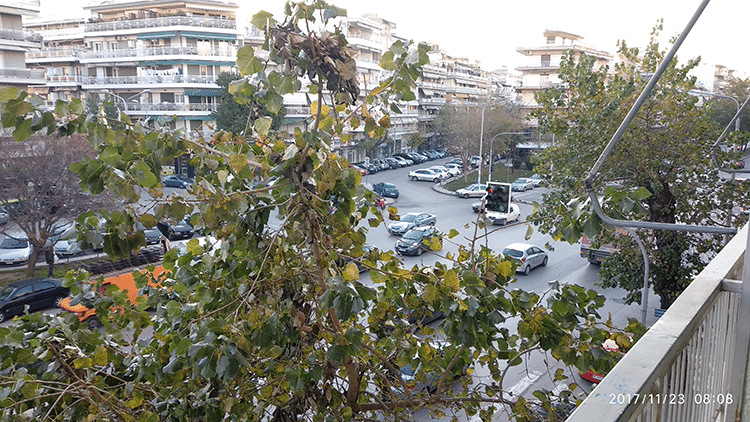 The dual cameras did a great job too. 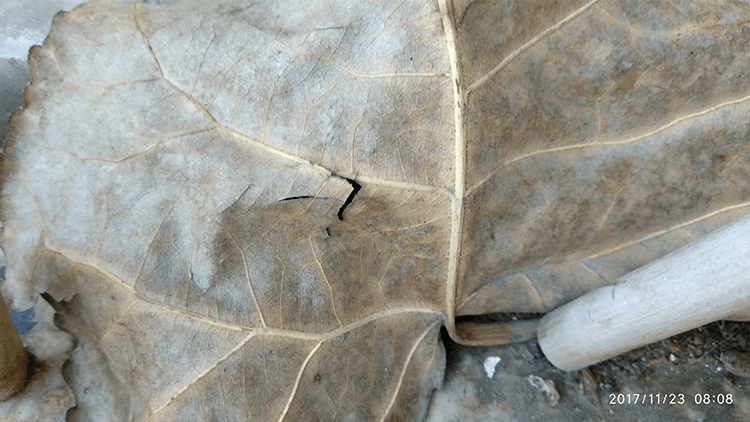 The quality of our photos was exquisite, considering that it is a mid-range smartphone. As you can see, the images preserve their details, the focus is excellent, and the colors look bright. 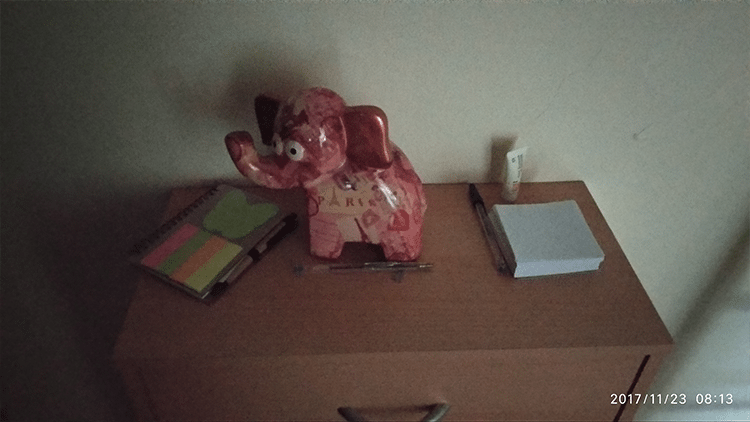 As usual though, in low-light situations, the photos look more grainy, with fewer details, and extra noise. 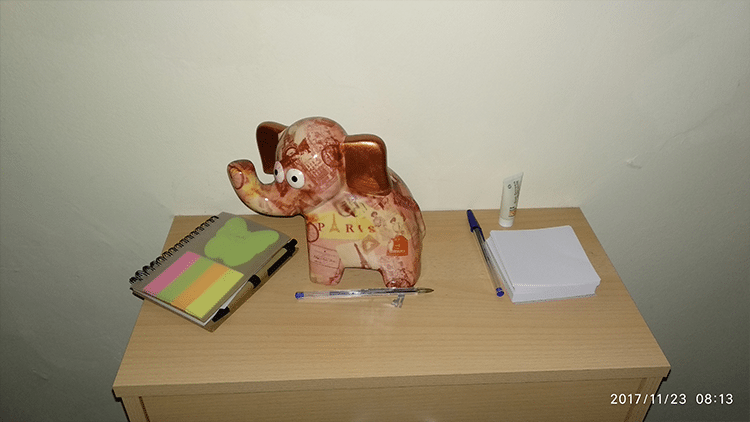 It gets better with the flash, although we feel that the objects become a bit less sharp. Here you will find all the images in full resolution. The 4K video footage is excellent as well, and it came live to our expectations. The 1080p version is also good, although it is evident that it has a worse quality than the 4K one. The battery has a capacity of 3080 mAh, which gives the phone enough time to last a day and a half with regular use. 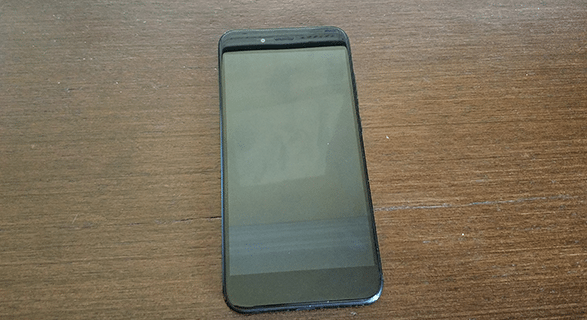 In case of extensive use with non-stop browsing, gaming, and watching videos, Xiaomi Mi A1 lasted for about 5 hours. To test its performance, we run the most popular mobile benchmarks on Xiaomi Mi A1. You can see the results on the image below. We also compared the device to other similar budget options. 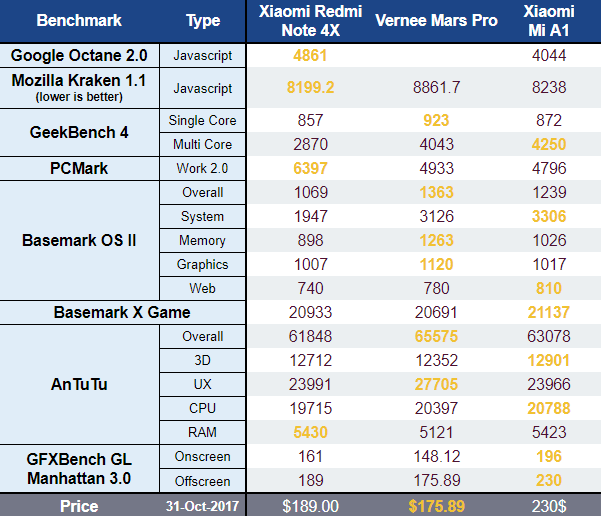 On the matrix, we can see that Xiaomi Mi A1 won the most of the benchmarks against the older but still powerful Xiaomi Redmi Note 4X. The Vernee Mars Pro did well too, besides the lower cost compared to the other two. Compared to higher priced devices, it scored high as well. 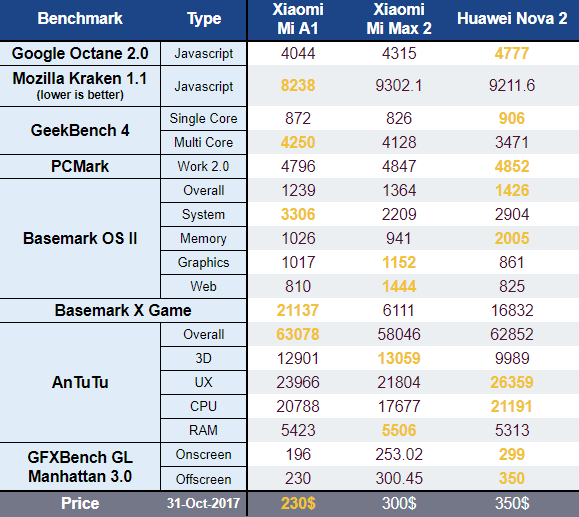 Although the Huawei Nova 2 won most of the benchmarks, Xiaomi Mi A1 got close on most of them - plus it costs $120 less. Xiaomi Mi A1 has Android One, dual camera setup, and a great hardware to support any task. All those come at the price of $230, which makes the phone one of the most value for money solutions for a mid-range smartphone. Below we summarize all the advantages and disadvantages. We tested the phone, we used it for a while, and we enjoyed our time with the device for every aspect. How about you? Did you like Xiaomi’s Mi A1 review? If you have any questions about the phone, feel free to leave a comment below.